Some website conversion rate tips have been repeated a million times. 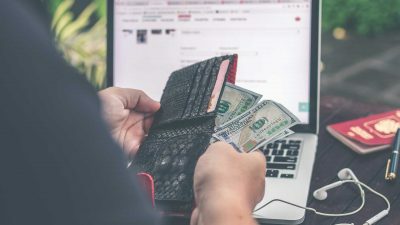 E.g., Include as few form fields as possible, offer various payment options… Sure they will have some impact, but by now, you’ve probably implemented most if not all of these rehashed tips. Refer to our Beginner’s Guide to CRO for more conversion tips. Other tips are as vague as an Ikea instruction manual. E.g., Use clear and compelling copy, create urgency, get visitors excited… Fine, but what makes copy compelling? Also, there are about 500 ways to create urgency, which ones work and why? None of that in this post. If you’re looking for rather unconventional ways to boost conversions, then you’re in the right place. On top of that, I’ve picked these unconventional methods based on the AOE-acronym: actionable, original, evidence-based. So when you’ve finished this article you know exactly how to get started. The problem: how do you educate new customers about the best way to utilize all your platform’s features, not just its 2-3 main ones? You could give them a trial or free version. True, but they’ll be still on their own. If they don’t figure your tool out within the first 5 minutes, they’ll be out the door and handing their money to your competition. Sure you do. Most SaaS companies do. But if your user is anything like me, they won’t look at those pages unless as a final resort, wasting time and most of all, wasting a good first impression. And that’s exactly what Later (an Instagram marketing platform) did. 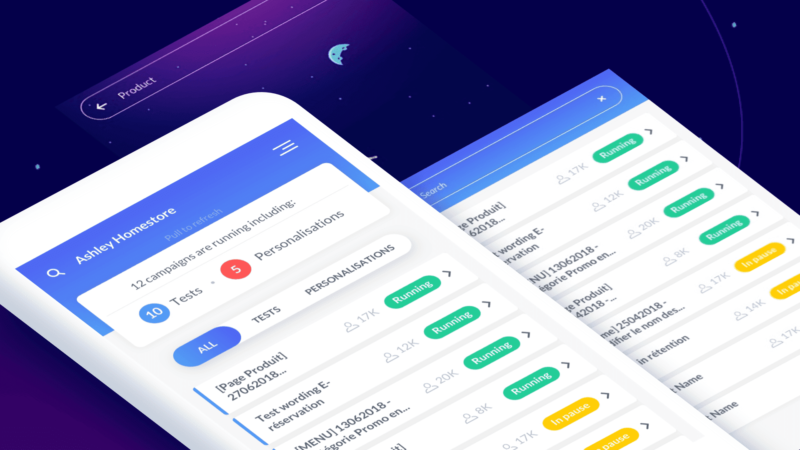 Although their introductory webinars were already working quite well, they wanted the ability to scale and reach more users, as well as build an onboarding process that required less effort and time. With benchmark numbers set, Later’s team decided to perform a test: run the same pre-recorded webinar content, but reformatted as an online course. 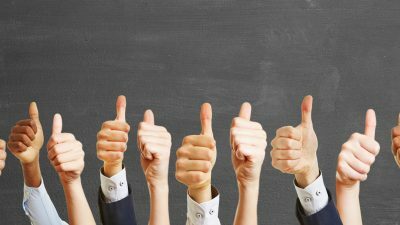 The results blew them away, especially since the content was verbatim from the webinars. Most of the content was already there! 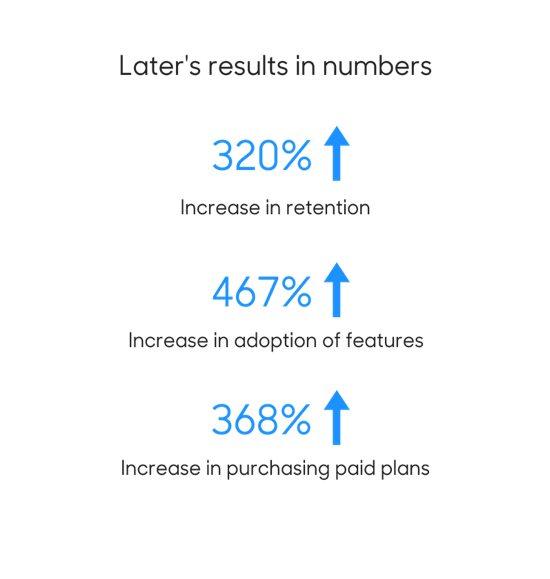 By simply changing the onboarding content delivery method from a webinar to an online course, Later increased their numbers and scaled their business. CAPTCHAs, you know, those little puzzles you need to solve, or words you have to decipher? Improving conversion rate is all about lowering resistance between you and your website visitors. CAPTCHAs do the opposite, raising a virtual barrier. Why would you make it harder for someone to buy from you? Uhm, what is this? Blade Runner? CAPTCHAs likely drive people away. 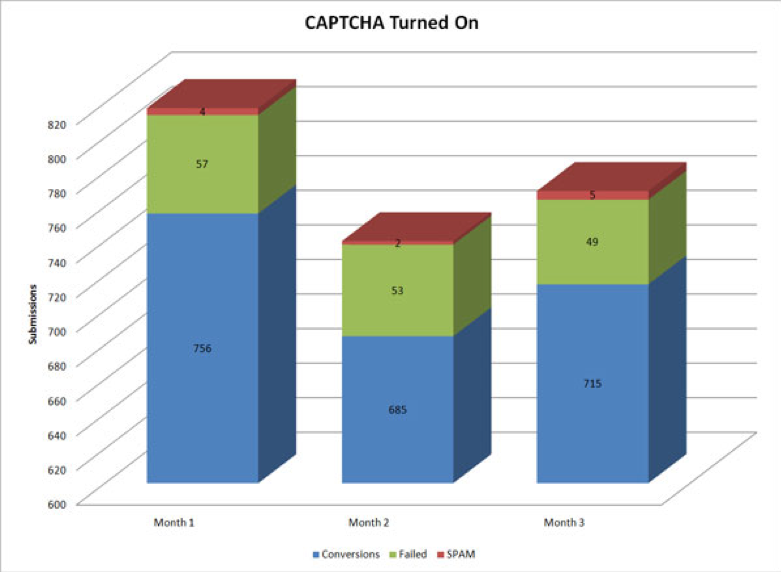 A Moz study revealed that CAPTCHAs reduce conversions by more than 3%. 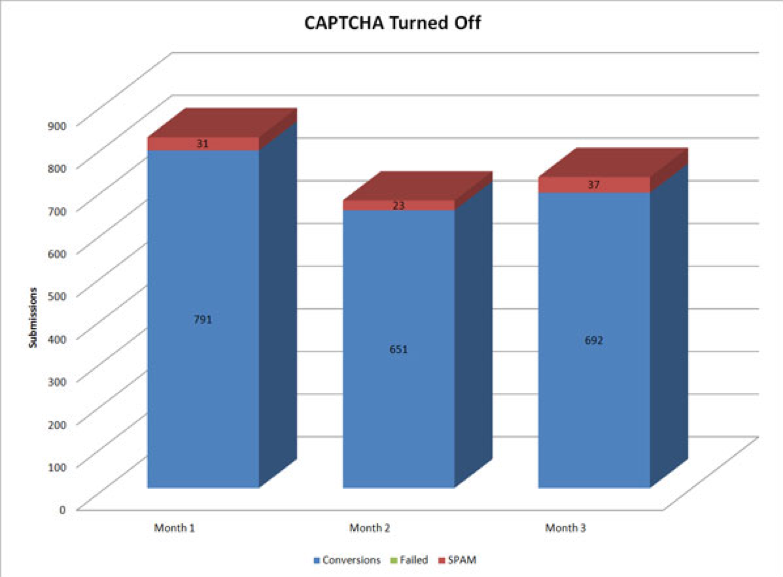 Turning off CAPTCHAs might get you some spam, but it will also increase conversion by reducing failed conversions to a minimum. So ditch the CAPTCHAs and start getting more conversions today. In this day and age, there’s no excuse for being slow. Slow load times hurt SEO and increase bounce rate. Especially in these mobile-first times. Studies have shown that 40% of visitors abandon a page that takes longer than 3 seconds to load. Not only is your website’s speed absolutely critical to your conversion rate, it also plays a huge part in whether a visitor even engages with your content. Make sure your landing page loads fast or visitors will leave. You can use one of these 15 tools to test your loading times and optimize based on its recommendations. As a bonus, optimizing your conversion page will often remove clutter from the page. Furthermore, there’s more to speed than faster page loads. 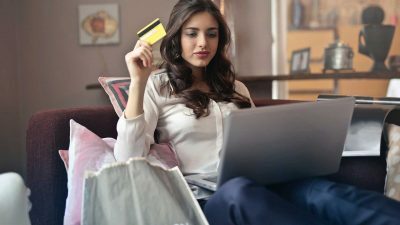 You can also improve conversion rate by reducing the time customers spend in the checkout process. Several articles have shown that offering live chats on websites can increase conversion rates by up to 45%. The figures might vary, but they all show that it can have a positive impact on your business. According to a live chat statistic conducted by the American Marketing Association, customers who use live chat are three times more likely to buy. Therefore, adding live chat on your website would lead to a conversion rate of 20%. Apart from conversion rate benefits, live chat also results in lower service costs and higher customer satisfaction. 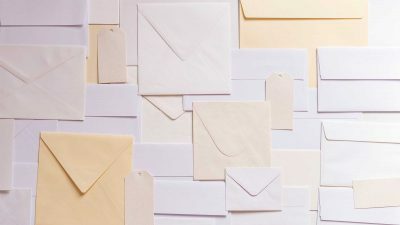 It is a simple way to solicit feedback and uncover customer pain points: when your customers connect to live chat, they may reveal crucial issues with products, services, or the checkout process. The ability to quickly identify and fix these problems will have a positive effect on customer satisfaction. It is clear that live chat requires an investment: ideally, someone from your Customer Service team needs to be online all day, or at least during the period that your prospects are on your site. For the lower tier prospects, the chatbot redirects the user to the documentation and communicates that someone will get in touch later, if necessary. This tactic is very effective in B2C markets in combination with social media marketing. For example, Bhu Foods created an appealing promotion: six month supply of Bhu Bars. Via social media advertising, they drove 2,737 entrants to the campaign page. From the top of funnel social media engagement to bottom of funnel sales, Bhu Foods’ first Wishpond campaign drove serious success. They increased their Instagram and Facebook following by 806, generated 2,530 leads and can credit 44 out of 178 online purchases to their campaign – a 25% increase in month-on-month sales. Here’s how you do it step by step. Step 1: Identify your primary social media objective, and determine what campaign works best to achieve that objective. Step 2: Determine the most valuable prize or incentive which is attractive to your business’ target market. Use it to incentivize completion of your objective. 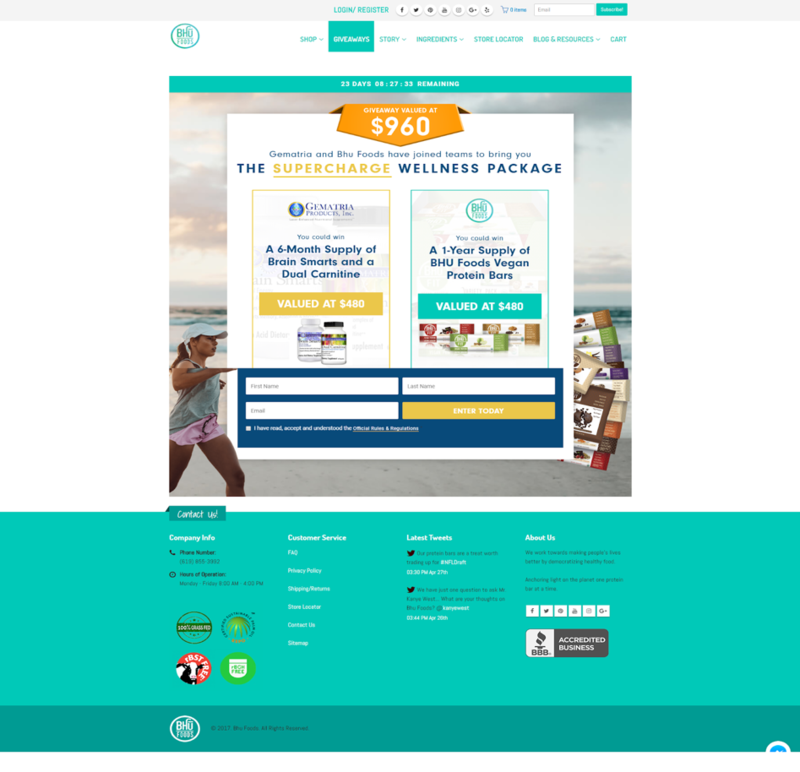 Step 3: Create the page (either on your website or on social media) which enables prospective customers to get a chance to win your incentive. Step 4: Create the collateral to drive traffic to the promotion through social media and website traffic. Step 5: Create the advertising campaign to drive traffic to the promotion. Step 6: Create the email marketing strategy which, if applicable, works to achieve your objective. A study by Demand Metrics showed that interactive questionnaires manage to generate 2X more conversions than static forms. Let’s be honest, regular contact forms don’t work, there’s little to no room for being personal. The truth is: We’ve become “blind” to the static forms that you find on every website. Still, every type of conversion requires some input from the lead, but instead of just having them fill in all the blanks, why not make the whole thing a bit more interactive? That’s exactly what Eneco, one of the largest producers and suppliers of natural gas, electricity, and heat in the Netherlands, did. 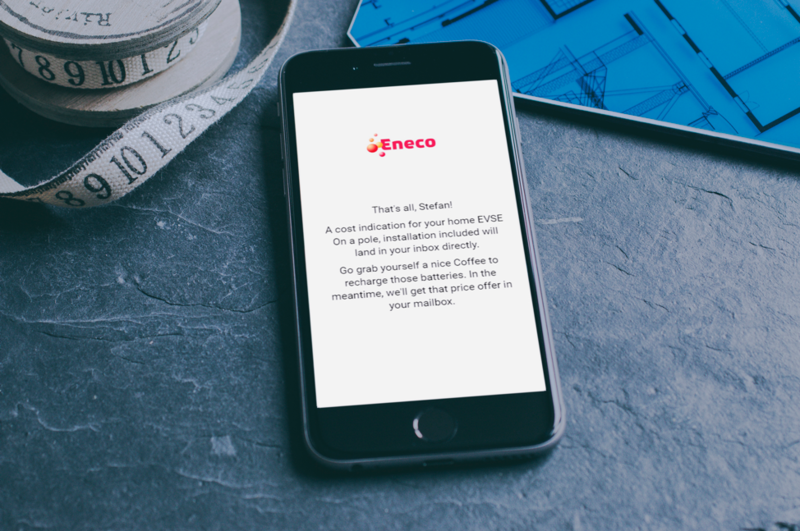 In just 6 weeks, Eneco collected more than 1000 conversions with a single questionnaire. That’s 5X the expected return. Visitors to the Eneco website simply answer the short, easy questions and the questionnaire gives them a ton of information in return. The interactive format captures the attention of a possible lead long enough to both convert and convey a lot of useful information. So there you have it. 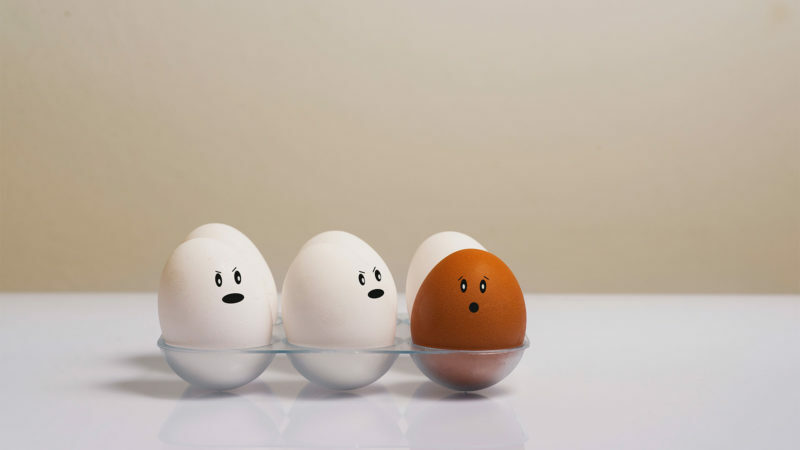 Six ways to boost your conversion rate you probably hadn’t heard before. Let me know what you think in the comments below. And feel free to share your results! 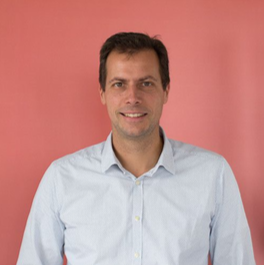 Stefan Debois is the founder and CEO of Survey Anyplace, an online software tool to create engaging surveys, quizzes, and assessments. Passionate about the potential of technology to have meaningful online interactions with people - at scale.